Our brand new Surfside Beach Chalets are now online and sure to be a highlight of any Classic Australian Beach Holiday. Our beach chalets allow you to make the most of our superb beachside location in a modern setting. In a prime location, Warrnambool’s popular main beach is only a 50m walk away. All chalets have two separate bedrooms, with various bed configurations available and all linen supplied. Chalets include reverse cycle air-conditioning to keep you cool in summer and toasty in winter and boast a six-star energy efficiency rating. The full kitchen includes an oven, gas hot plates and a microwave. The raised decks are a great spot to enjoy your breakfast in the morning sun, or to kick back with a glass of wine in the evening. 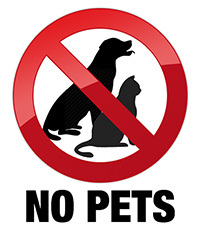 Please note that we do not allow animals in our cabin or cottage areas. Bedding arrangements can be either two queen beds or one queen bed and two single beds. Bedding arrangements can be two queen beds, one queen bed and two single beds or four single beds. A queen bed in one room and a twin bunk with a trundle bed in the other. Please Note: The displayed price is based on two adults and two children under 17. Additional adults are $10 each. The price also includes parking for one vehicle. Additional vehicles are permitted depending on space, and fees may apply.